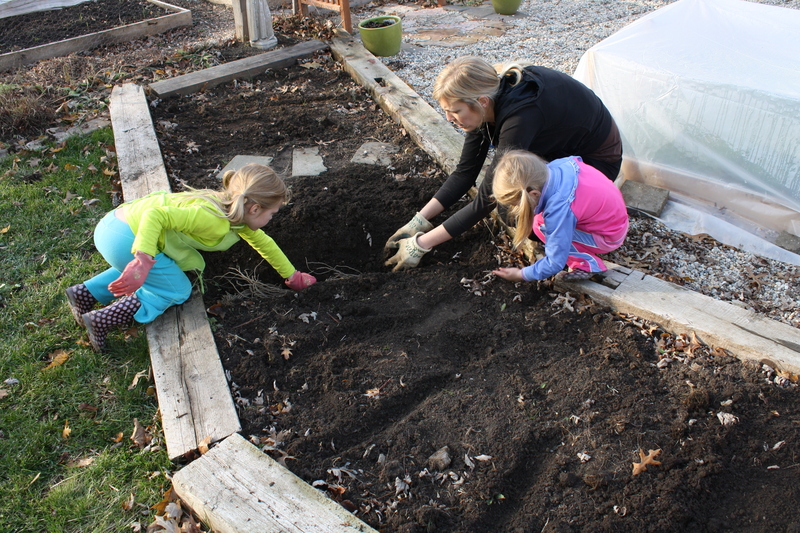 The week of Thanksgiving, we abandoned the warmth of our kitchen to do a bit of gardening. We recently acquired asparagus and rhubarb crowns, and wanted to get them into the ground before the first major freeze of the season. 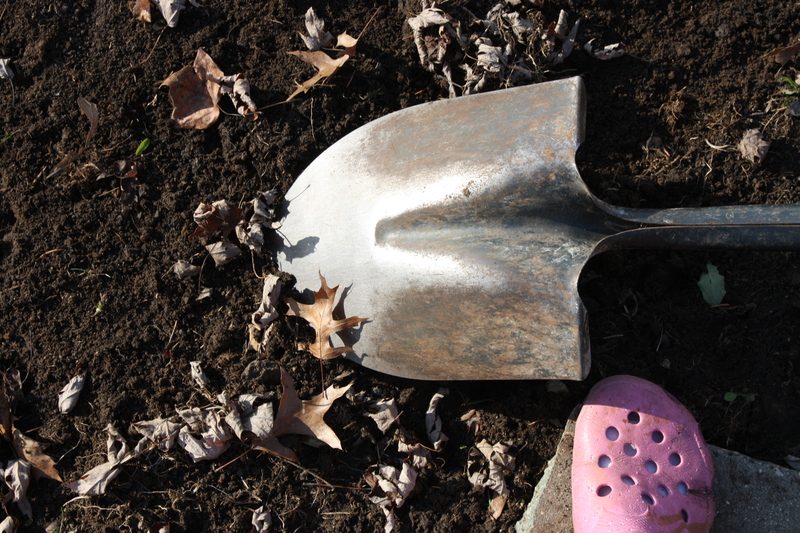 So, we took advantage of a seasonably warm afternoon, stepped into our gardening shoes, and dug our fingers into the cool, damp soil. 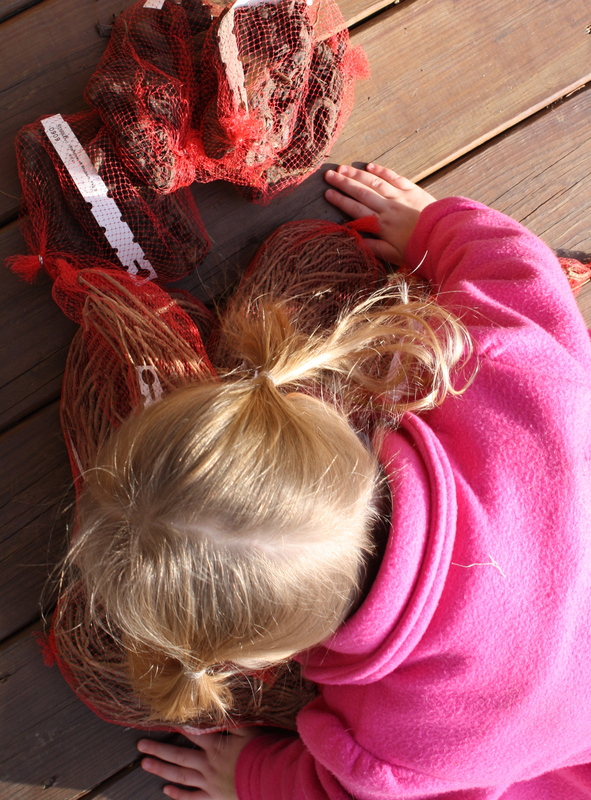 First on the docket was to sort through our worms from our compost. 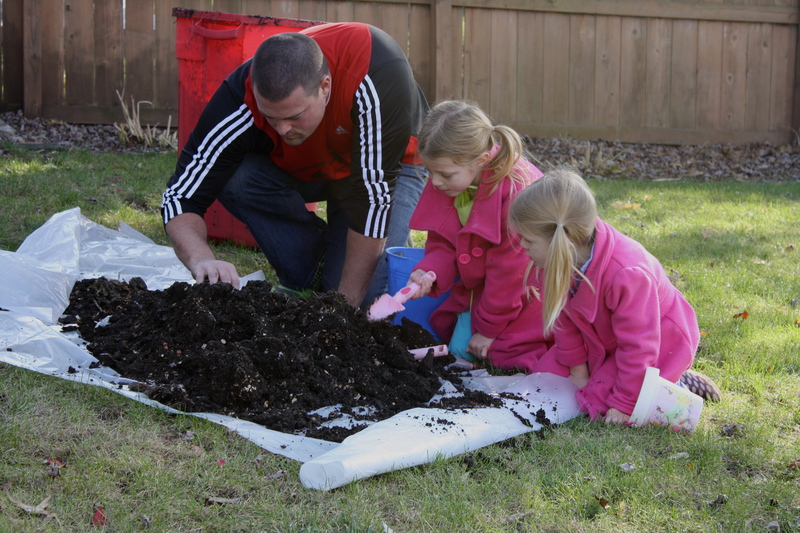 The girls and Tyler picked out each individual wormy (as the girls like to call them), and placed them into a fresh compost bin that would be moved inside for the winter. Then the amazing, black gold was used in the trenches that would house the asparagus roots. 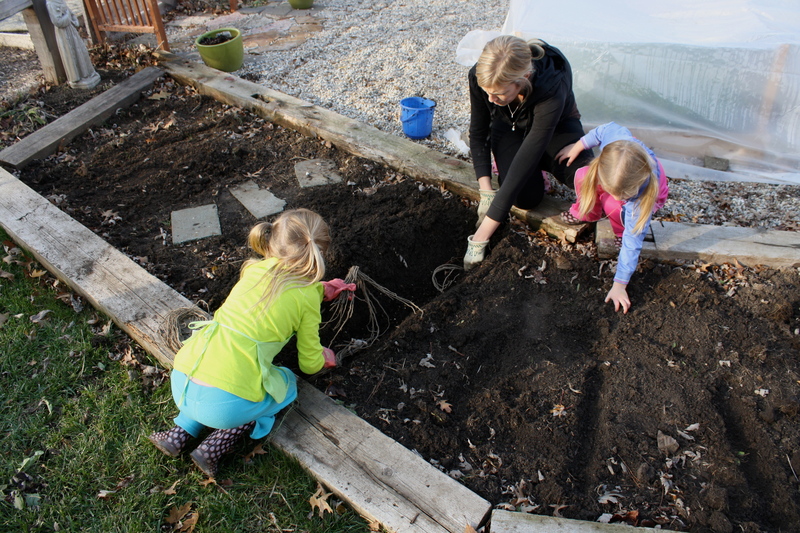 The girls then helped me to separate the asparagus roots, which we concluded look just like how we imagine aliens to look, and placed them deep beneath the surface of the soil. 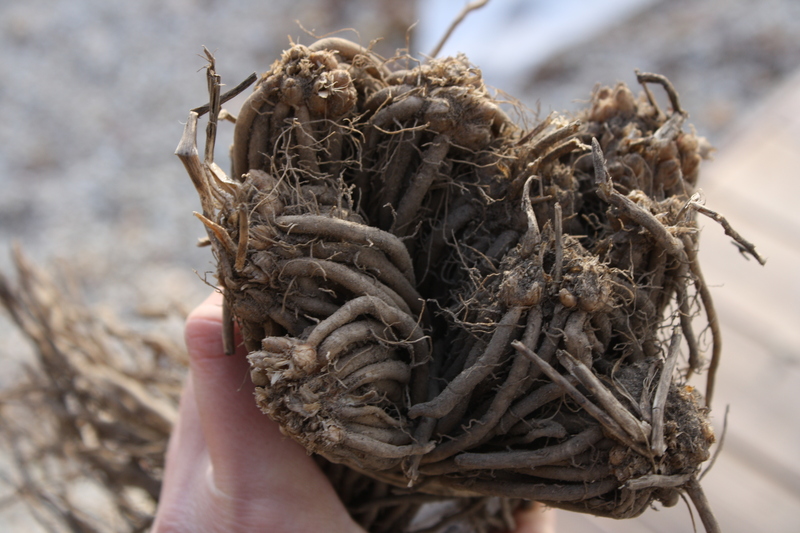 We did the same with the rhubarb crowns, burying them underneath the black earth in hopes they will produce delicious spring vegetation in a few months. This entry was posted in Gardening, Holistic Living, Sustainable Living and tagged asparagus, backyard, DIY, eco friendly, food, fresh, garden, gardening, gardens, growing, harvest, holistic, holistic living, home, homemade, homemaker, homemaking, make, making, mama, mindfulness, mom, mother, organic, planting, planting asparagus, planting rhubarb, rhubarb, sustainable, sustainable living. Bookmark the permalink.